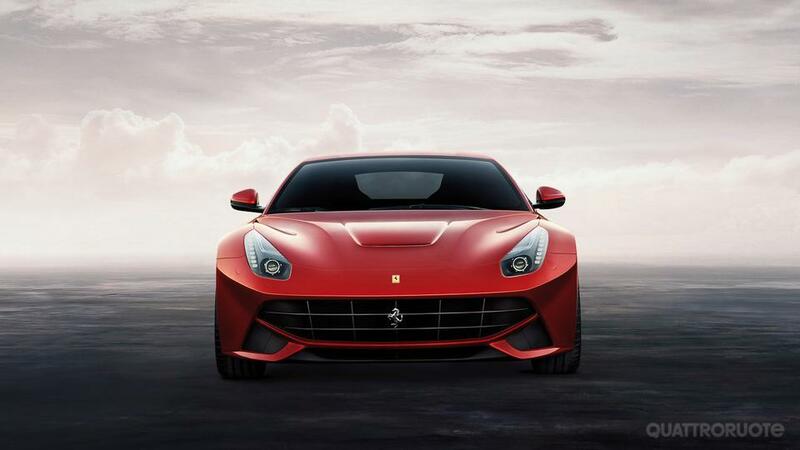 Marchettino - The ONLY official website: Here it is, the Ferrari F12 Berlinetta! Ladies and gentlemen, this is what we have been waiting for a long time, the successor of the Ferrari 599, the F12 Berlinetta! It's always exciting and amazing when Ferrari releases a new car, after 6 years it's time to replace the gran turismo 599. 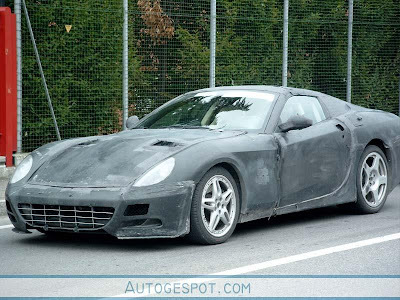 Let's have a quick back to the past, it really makes me feel old to see these 7 years old spy pictures to the Ferrari 599 GTB! And then you know the final result.. a fantastic gran turismo berlinetta with an Enzo based-6.0L V12 620hp engine, able to drive up to 330km/h and to move from 0 to 100km/h in just 3.7s. Great numbers for a car that now is 7 years old. The new Ferrari F12 is a completely new car, under the bonnet there's a modified version of the FF's 6.3L V12 engine, with a final power output of 740hp we can say that this is actually the most powerful road-legal Ferrari ever made! 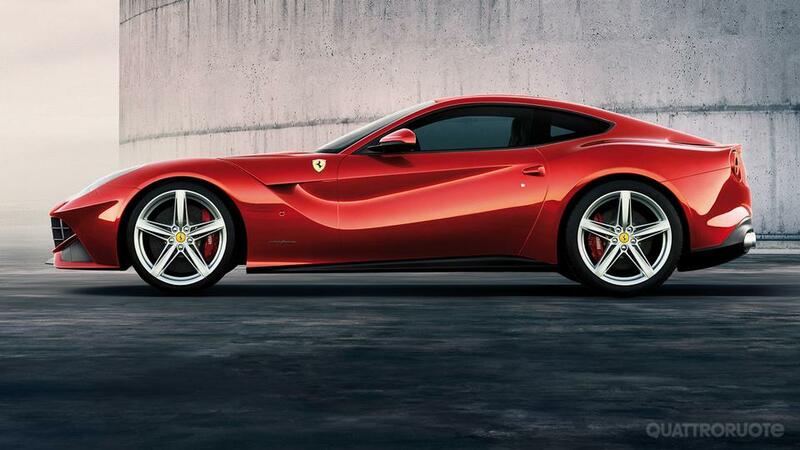 The F12 uses a double clutch gearbox with 7 gears and a RWD system. It's incredible to see that with so much power and the RWD the car is able to go from 0 to 100km/h in just 3.4s and from 0-200 km/h in 8.5s, 0.3s faster than the Lamborghini Aventador! The top speed goes over 340km/h. 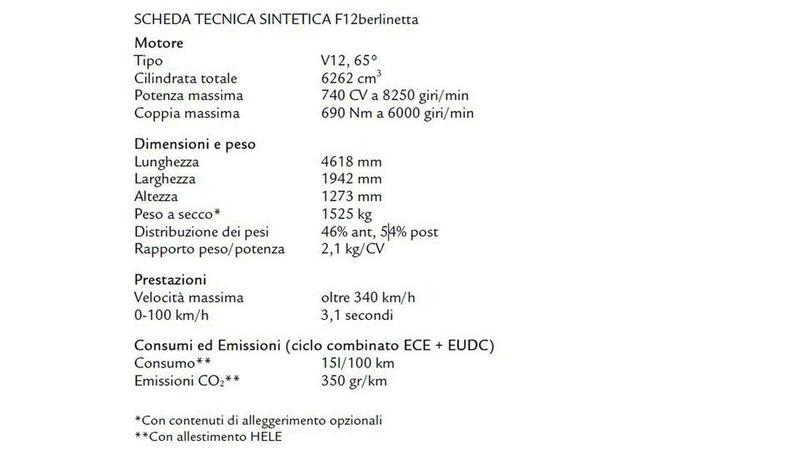 1.525 kg is the weight of the car, 70kg lighter than the old (now it makes me feel old to call it old!) 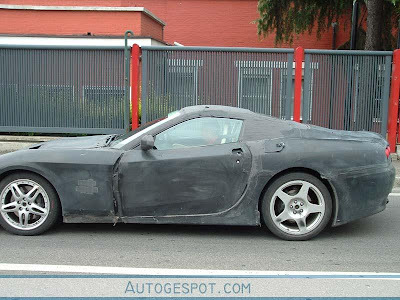 Ferrari 599. 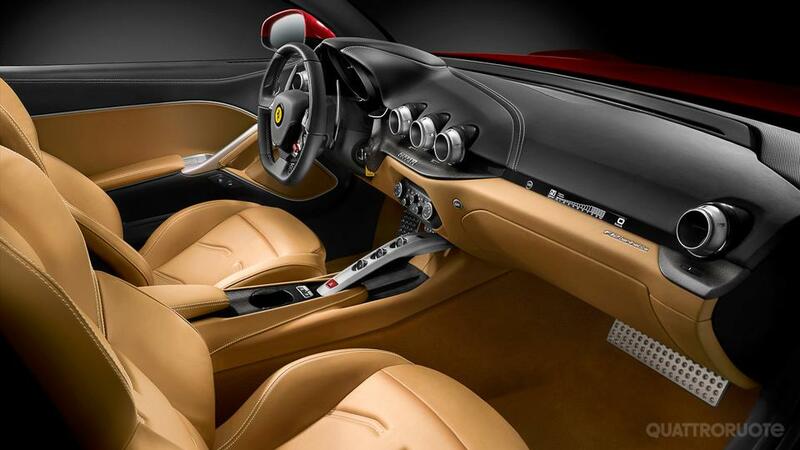 The shape of the car still takes a basis from the berlinetta look of the 599 but with a modern look and with a mixture of different designs taken from the current Ferrari lineup, the 458, FF, California. It's a good looking car, but I don't really trust it's specs as Ferrari lends the press specialized models to surpass the concorrents: Ferrari will have a Berlinetta for curves, a Berlinetta for stright lines, and then mix the results of those many cars as if everyone of them was so good at that. they don't need to.. who's better ?? ?